Imagine your perfect kitchen. Like you, it’s unique. Flawlessly tailored to your life. Everything hand-picked and hand-finished to complement your tastes. From start to finish, we’ll use our expertise to help you create a space that’s uniquely you. We offer a huge range of kitchens designed to suit all tastes and budgets including premium traditional, and contemporary handmade kitchens, through to superbly engineered German kitchens including high gloss, handleless, concrete, ceramic and glass front kitchens. 1016 Developments is a dedicated renovation company with a passion for good design and an eye for detail. We set the bar high when it comes to the level of craftsmanship and service we provide. We guide our clients from the initial consultation through to completion. Drawing upon our team of professionals, we believe we can deliver a project that will surpass expectations whilst keeping within budget. If you would like to discuss a future project or book an informal consultation please call Tom Bolton on 07984354800. Alternatively you can use the contact me box at the bottom of the screen. Look forward to speaking to you soon. Phillips Building Services are a family run Joinery and Building Company based in South Manchester. We have many years of experience and have a skilled, reliable and efficient team. We prides ourselves with a particular emphasis on quality workmanship and attention to detail. We can offer a complete building solution however big or small the job might be. From simple refits of a bathroom or kitchen to a major renovation or new build. A lot of our work is through recommendations from previously satisfied customers. You can view a small selection of these on our testimonial page. All our work is competitively priced and meets all the latest regulations. Evolving out of a joinery manufacturing company established in 1989, we are anything but a typical architectural hardware distributor. We differentiate. Atlantic UK, from our inception in 2008, had a mission, a mission formed and held by our founder and owner, Adrian Ledgeway, to revolutionise the architectural hardware industry. We constantly strive to be the most forward thinking, innovative, customer centric supplier in architectural hardware. How do we do this? We ask questions, we listen to feedback, we analyse, and we act. Atlantic UK bring to market the products you want at realistic prices. Our enthusiastic team are passionate in providing the simple, honest, on-time quality service that sets Atlantic UK apart. With our comprehensive network of dedicated merchants and retailers throughout the UK, you are never far away from our beautiful collections of finest architectural hardware. Our highest quality products are manufactured to the highest of standards and will add that distinctive finishing touch to your project. 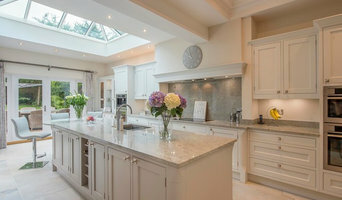 Welcome to the official Houzz page for Interiors by Daniel James, the first choice for quality fitted kitchens, bedrooms and bathrooms in Yorkshire. Considering your new dream designer fitted kitchen bathroom or bedroom is an important process. We have been designing and installing dream rooms across Yorkshire and our skilled team of designers, consultants and installers are passionate about making your dream project a reality. If you’re thinking of a quality fitted kitchen, a designer fitted bedroom or a new fitted bathroom in Yorkshire, then check out some of our current designs and ranges online, call one of our designers on 01484 506 780 or click here for a FREE, no obligation, design consultation Alternatively you are welcome to visit our showroom to get a more detailed look at our designs. Creative Building Solutions. Redesign offers a wide range of design and build services to residential and commercial properties across West Yorkshire. From concept through to completion our team of trained specialists can provide every aspect of interior and exterior design, planning and building. We work together with our clients to create a personal space which is both functional and stylish. Our effective space planning, innovative design ideas and high quality delivery and finishing have ensured that we have grown from strength to strength. If you would like a free consultation to see how we could change your world, please call us today on 0113 262 5954. Home design, fit out and furnishing, kitchens, bedrooms and bathrooms. For over 33 year, The Stephen Neall Group have been designing and installing stunning interiors for the discerning. We work alongside the client and take the role of project manager or main contractor, therefore, controlling installations from the very first day to handover. 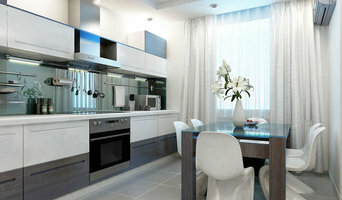 We provide a turnkey solution for single rooms or for whole house interior fit out of renovation projects or new build. We have at our disposal an extremely competent trades team of cabinetmakers, carpenters, decorators, plumbers, electricians, tillers, specialist plasterers and builders. We have knowledge of mechanical and electrical services and solve planning issues during the design stage and in effect eliminate costly on site decision making. One of our real strengths is that we bridge the gap between the architect or structure and the interior decoration. We call it Interior Architecture. Your project will be appointed an experienced senior designer, who will constantly seek to provide the very highest standard of professional service throughout, and at the very least meeting with our clients expectations but wherever possible improving upon them. We have a large database of satisfied clients who offer a suitable testimony to our high standards, attention to detail & after sales care and advice. In addition to our in house turnkey services, we have also completed many successful projects and are happy to dovetail with client’s own Interior Design and Architect teams. We are builders based in South Manchester. We work with clients to design and create space for living, including extensions, conversions, window replacement, refurbishments and rebuild. HousX provide a one stop house extension solution taking care of the design, planning permission, budget and crucially the building of your house extension right through to completion. Whilst other house extension companies provide either the extension building services, or the design service, HousX provides a complete package. From initial consultation & extension design service, right the way through to the build and interior design of your house extension. We understand that the space within your home is important to you, and so undergoing a home extension which is tailored perfectly for your needs is a must. We will consider your budget, space efficiency, time frame and energy impact. Every part of your house extension will be suited to your personal requirements and will add value to your lives as well as your home. 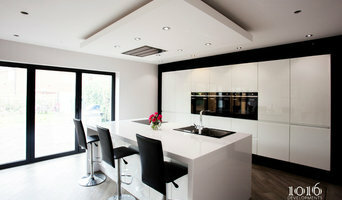 25 years Building and Development experience, London Kitchen Extensions our speciality. References fully available and free quotations. Full guidance given to get your project ideas designed and constructed, on schedule and on budget, to the highest of standards. Sheppard builders (sy) ltd. We specialise in house extensions and loft conversion covering South Yorkshire and the Peak District . Sheppard Builders (SY) Ltd’s Takes great pride in delivering your dream project. A design and build company does pretty much what it says on the tin – designs and builds your home; helping you design your own house from scratch, pick out the small details and actually bring your dream home to life. They will take on the responsibility of planning the project, drawing up the designs, costing, sourcing the building materials and supplies, building the structure, installing any permanent features and possibly advising on the interior design of your home; all while consulting you every step of the way. 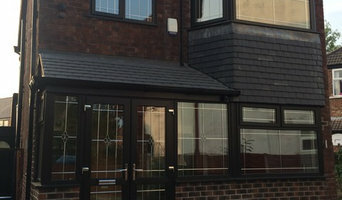 A design and build company in Batley, West Yorkshire will usually employ in-house architects to handle all of the technical design aspects of your renovation or build, whether that’s to design a house or just a kitchen, and will also have main contractors or project managers that will oversee the construction work. The project managers will either work with external building contractors or construction companies, or the design and build company may employ their own builders to carry out the construction work. Either way, all the work is managed by one company and so this means communication is easier and the work is more streamlined. You’ll probably have just one design and build contract, making responsibility simpler and clearer, and also reducing costs for you. However, you should always check this design and build contract closely to see exactly what the firm is agreeing to take responsibility for, so that you don’t get left in the cold at any point. You don’t have to build your own home to hire a Batley, West Yorkshire design and build firm. If you are renovating one or a few rooms of a house, a design and build company in Batley, West Yorkshire can still help you – they can design a kitchen, bathroom, bedroom or living room and then complete all of the renovation work for you. 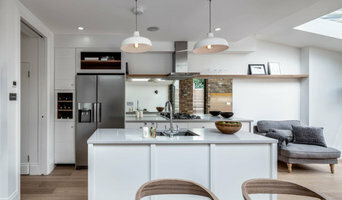 This could be a really good option if you are selling your home and want to increase its value quickly – hire a design and build firm in Batley, West Yorkshire to redesign and renovate a few rooms of your house without the hassle of dealing with various professionals or the time-consuming effort of doing it yourself. If all of this sounds ideal, then start searching for design and build procurement companies in Batley, West Yorkshire that can design a house, or room, for you and discuss design and build contracts with you. If you want to look for more specialised contractors, designers, architects or builders to help you renovate or build your own home, then you can still find them on Houzz. Here are some related professionals and vendors to complement the work of design & build: Interior Designers, Landscape Architects & Garden Designers, Architects & Building Designers, Photographers. How long have you been an established design and build company in Batley, West Yorkshire? Find a design and build company on Houzz. Narrow your search in the Professionals section of the website to Batley, West Yorkshire design and build contractors. You could also look through Batley, West Yorkshire photos to find a project you like, then contact the design and build company in Batley, West Yorkshire that created it.